You are here: Home / Articles / Villa interested in Bafetimbi Gomis? Villa interested in Bafetimbi Gomis? With the January transfer window set to open on 2nd January 2016, it seems the rumour mill is already in full swing with some 6 weeks still to go. Reports back in late October in the London based ‘Evening Standard’ newspaper, suggested that the Swans were interested in Brentford midfielder Alan Judge, whom has already scored six goals in the Championship this season. Garry Monk has supposedly been impressed with the Irishman and is tracking his progress, along with both Leicester City and this weekend’s opponents Bournemouth. Whether or not the Swans would be put off by the £2million price tag for the 26 year old remain to be seen. The rumour circulated again this week with Match of the Day Magazine doing a feature on the ‘Top 20 Transfer Targets’ for the January window. 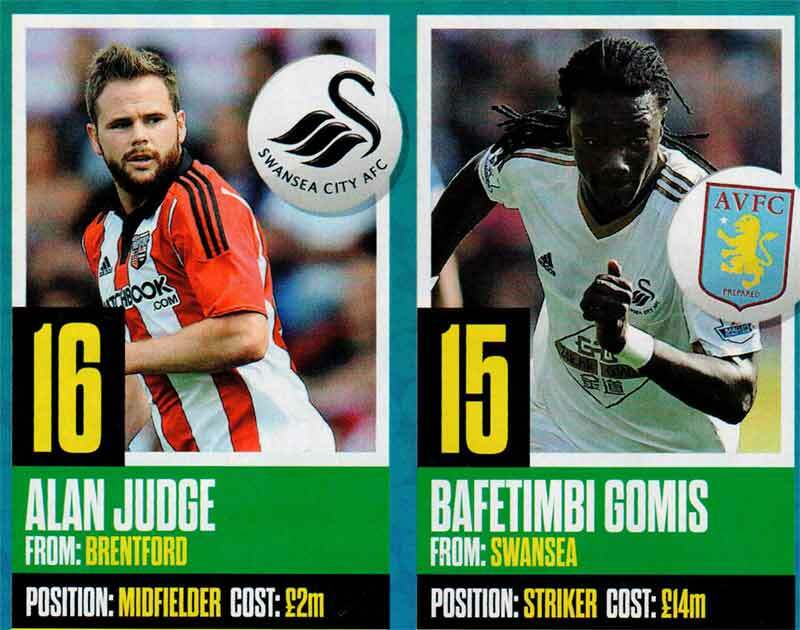 But perhaps most interesting of all was the fact that the list featured our very own Bafetimbi Gomis. The Frenchman’s lack of form and recent appointment of Remi Garde as Aston Villa manager seem to have fuelled speculation that Villa are interested in signing 30 year old Gomis. Garde and Gomis worked together at Lyon, and the Villa manager is thought to hold his fellow countryman in high regard. With Villa struggling for goals, they will no doubt be in the market for a striker in the January transfer window and some people believe they could make a move for Swans striker when the window opens. With a figure of £14million being touted as a possible asking price, the Swans might well decide to cash in on the 30 year old and invest the money elsewhere. Whether or not Villa would be prepared to pay such a fee remains to be seen of course.